(Natural News) According to a recent study, both pregnant women and infants can benefit from probiotics because these “good” bacteria can help prevent obesity. The findings, which were published in the European Journal of Nutrition, revealed that when breastfeeding women take probiotics, it helps “alter gene expression by decreasing DNA methylation” of the 37 gene promoters linked to weight gain in mothers (68 in the infants). Professor Kirsi Laitinen from the University of Turku, the study’s lead researcher, wrote: “Three of the known risk genes were affected specifically in the mothers and five in the children. The DNA methylation of the promoter of the fat mass and obesity-associated (FTO) gene, the strongest known genetic risk factor for obesity, was decreased in the women in response to the intake of the probiotics. The FTO is associated with body mass index (BMI), obesity risk, and type 2 diabetes in various studies. For the study, the researchers observed 15 Finnish women who were pregnant through a randomized controlled trial (RCT). Seven participants selected at random received a probiotic capsule with Lactobacillus rhamnosus GG and Bifidobacterium lactuis Bb12 daily. Meanwhile, the remaining eight women were given placebo capsules. The researchers used blood samples to determine the DNA methylation status of 623 obesity-related and 433 weight-gain related gene promoters. The samples they used came from the pregnant women. 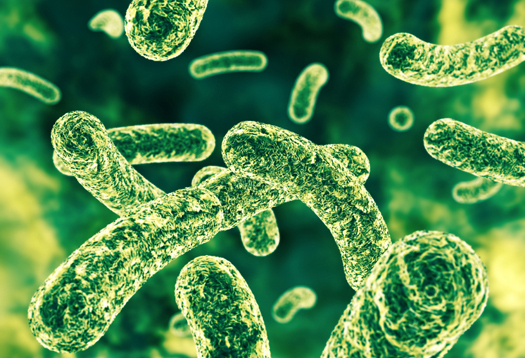 Professor Laitinen and the team also took note of the effects of the probiotic supplements on the DNA methylation of levels linked to genes that are responsible for the metabolic and immunological processes. The researchers posit that taking probiotics during pregnancy may offer other benefits aside from preventing obesity. They added that further studies must be done to determine the worth of probiotics as a gene therapy tool. They shared that gathering ribonucleic acid (RNA) was necessary because this helped confirm that DNA methylation was”translated into variations in gene expression.” It is also possible that DNA methylation in tissues could vary from those that occur among blood cells. Apples – This fruit also has anti-inflammatory and anti-bacterial properties. Barley – This grain into is full of the nutrient selenium, which improves thyroid function. Cacao – A vital source of fiber, raw cacao is rich in magnesium. Oats – Oats can also lower cholesterol levels and control blood sugar levels. Jicama – A crunchy white vegetable, jicama is a rich source of vitamin C, and it is low in calories. Leeks – Leeks help break down the fats in your system. Raw garlic – While raw garlic isn’t always easy to consume, it is full of prebiotics. You can read more articles about infant health and how to prevent childhood obesity while pregnant at WomensHealth.news.